Ann Arbor, MI –The Allen Creek Greenway Conservancy was awarded two separate grants this week from the Ann Arbor Area Community Foundation and MillionMile Greenway to support the organization’s efforts to develop a greenway through the heart of downtown Ann Arbor. With a combined value of $21,100, these grants enable the Conservancy to move forward with community outreach and engagement to increase membership, public awareness and community collaboration. The Greenway will start near Michigan Stadium, and will run north and south winding through downtown Ann Arbor, ultimately connecting to the Washtenaw County Border to Border (B2B) trail near the Argo Pond. Bob Galardi, President of the Allen Creek Greenway Conservancy’s Board of Directors notes, “The Greenway, a paved trail, will provide safe, accessible walking and biking through the heart of downtown Ann Arbor, establish physical barriers from existing railroad tracks, and create better connectivity north to south. These grants give us the ability to continue to increase our community efforts through events, promotional material and online presence.” The Ann Arbor Area Community Foundation (AAACF) awarded a $10,000 grant to help the Allen Creek Greenway Conservancy build community partnerships with the City, the County and the University of Michigan and provide community outreach through promotional material and events. AAACF has a long history of supporting local community organizations that sustain and protect the local environment, from the Ecology Center and Recycle Ann Arbor to the Legacy Land Conservancy. A start-up grant to the Ecology Center in 1972 helped launch Ann Arbor’s first drop-off recycling stations, and a 2009 grant helped launch Michigan’s first local clean energy financing program. services from MMG’s experts in marketing and technical planning. MillionMile Greenway helps communities create or expand trail and greenway initiatives. “This project has every essential element we look for in a partner,” says Jim Langford, president of MillionMile Greenway. He cited “community buy-in with the ability to match MMG funding, and an ideal location in downtown Ann Arbor close to residential neighborhoods, the University of Michigan’s athletic complex and businesses.” Langford adds, “The 2.3-mile trail can also connect to 13 miles of existing nature trails to the north – a powerful benefit to living in Ann Arbor.” Other recent projects with MMG include the Northend Greenway in Harrisonburg, Virginia; the Spotsylvania Greenways Initiative in Spotsylvania County, also in Virginia; and the South Fork Conservancy inside the City of Atlanta, Georgia. Next steps for the Allen Creek Greenway Conservancy include public meetings and a special event this fall. 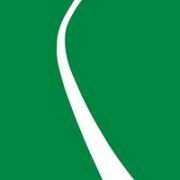 Sign up to receive electronic updates at www.AllenCreekGreenway.org or visit their Facebook page.